The gods must be crazy. Do something great or they'll kill you.Meet Christopher Reed and Morgan Kinder, both young and brash college students, who come of age in many of the ways that Tom Jones came of age in Fielding's classic novel. 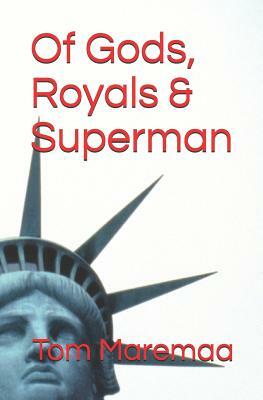 Both seniors at Dartmouth, one tossed out of school for behaving badly - very badly, even if he's a Superman - the other, a woman who loves literature and works as an intern for a high-power New York publishing house on a quest to find the vanished author of a lost manuscript entitled simply When, 20:37, whose work is said to conjure up the dark side of American life and predict the future. Their lives connect and disconnect, cross paths, then diverge, as the story and characters travel from the snows of New England to the catacombs of New York to the cornfields of Iowa and beyond to the sweet madness of California. Laughter and sorrow fill the pages. Life turns on its head. And the American landscape comes alive with a huge gallery of eccentric characters, oddballs and lovable madmen.Can the cocky young Reed redeem himself by doing something truly great? Will his counterpart, Morgan Kinder, recapture what has been lost from the past, discarded or ignored, and in so doing, alter the world of literature as we know it? Will each happen to change the other in Tom Maremaa's dazzling, page-turning work of contemporary fiction?